Semonin Realtors is a wholly owned subsidiary of HomeServices of America, Inc., a Berkshire Hathaway affiliate. HomeServices of America is comprised of some of the industry’s most respected real estate firms, specializing in all areas including brokerage, mortgage, title and homeowners insurance. Its companies have each been in existence for an average of 52 years and are regarded for their unparalleled service. A major point of pride for HomeServices is the consistent level of quality and dedication exemplified by its sales associates. These representatives understand the needs of clients and offer a personalized experience through core real estate services. Regardless of how a home buyer or home seller chooses to do business with HomeServices, its “one-stop shopping” philosophy ensures complete customer satisfaction. Based in Southern California, Berkshire Hathaway HomeServices California Realty is the largest franchisee of the Berkshire Hathaway HomeServices Real Estate Network and enjoys a coveted spot among the nation’s top five residential real estate brokerages. The company, which was founded in 1985, has grown rapidly in the last decade to include nearly 60 offices and more than 2,300 sales associates. As a customer-focused, quality organization, Berkshire Hathaway HomeServices California Properties offers clients a host of services including relocation, escrow, insurance, mortgage and home warranty. Additional information about the company can be found atwww.bhhscalifornia.com. Berkshire Hathaway HomeServices Carolinas has been on the cutting-edge of real estate since its inception in agencies in America with more than 660 sales professionals and 13 sales offices in three major metropolitan areas of North Carolina and upstate South Carolina. For more information, visit www.bhhscarolinas.com. Headquartered in Wallingford, Conn., Berkshire Hathaway HomeServices New England Properties is one of Connecticut’s largest and most respected residential real estate brokerage firms, with nearly 1,300 sales associates in nearly 50 offices located in major markets across the state. Berkshire Hathaway HomeServices Rhode Island Realty, a division of Berkshire Hathaway HomeServices New England Properties has two offices serving the communities of Westerly and Watch Hill. For more information, visit www.bhhsneproperties.com. With more than 115 sales associates in Des Moines and 500 agents statewide, Berkshire Hathaway HomeServices First Realty has been a trusted name to home buyers and sellers for more than 20 years. Clients have given the company’s agents a 94% satisfaction rating for a tradition of outstanding home and family service. For more information, visit www.bhhsfirstrealty.com. Berkshire Hathaway HomeServices Fox & Roach Realtors® is the 5th-largest brokerage and related services company in the U.S. with more than 4,100 agents and 60 offices across Delaware, New Jersey and Philadelphia. Founded in 1886, Berkshire Hathaway HomeServices Fox & Roach, Realtors® has been the leading residential real estate company in the Tri-State area for more than 125 years. Berkshire Hathaway HomeServices Georgia Properties is one of the largest and most successful real estate organizations in the country with 19 offices and more than 1,000 sales associates available to help buyers and sellers throughout the greater metro area of Atlanta make the best decisions about their real estate needs. The Atlanta Business Chronicle ranked Berkshire Hathaway HomeServices Georgia Properties as the #1 residential real estate company for Metro Atlanta in 2012, 2011 and 2010. Berkshire Hathaway HomeServices Kansas City Realty is a team of extremely strong performers servicing the Kansas City area. With office locations in southern Johnson Country, Kansas and eastern Jackson Country, Missouri, the team of sale professionals assists buyers and sellers throughout the entire Kansas City metro area. Kansas City Realty harnesses the strength of the Berkshire Hathaway HomeServices brand, the expertise of the team, and the full suite of technology resources to provide buyers and sellers with a unique and custom home buying and selling experience. Berkshire Hathaway HomeServices KoenigRubloff Realty Group is one of Chicagoland’s largest and most respected real estate brokerage firms. Their unparalleled reputation for integrity and professionalism comes from consistently providing outstanding services to homebuyers and sellers. As a $5 billion organization and one of the highest-performing brokerages in the nation, Berkshire Hathaway HomeServices KoenigRubloff Realty Group is world-renowned for their luxury marketing and set the standard for upper bracket representation. We are committed to being at the forefront of the industry by doing all that we can to anticipate our clients’ real estate needs and exceed their expectations. For more, visit www.koenigrubloff.com. Founded in 1948, Berkshire Hathaway HomeServices Northwest has more than 325 sales associates in 15 offices serving the Portland metropolitan area; Southwest Washington, including Vancouver and Longview; Central Oregon; and the Oregon coast. For more information, visit www.bhhsnw.com. Originally established in 1942, Berkshire Hathaway HomeServices Northwest Realty joined the Berkshire Hathaway HomeServices affiliate network in 1990 and is their largest affiliate in the state of Washington, with more than 330 sales associates in six offices. Berkshire Hathaway HomeServices Northwest Realty serves the greater Seattle metropolitan area, including King, Pierce, and Snohomish counties, with offices in Bellevue, Burien, Federal Way, Kent, Lynnwood and Seattle. For more information, visit www.bhhsnwrealestate.com. Berkshire Hathaway HomeServices York Simpson Underwood Realty, headquartered in Raleigh, is a full-service real estate market leader with six sales offices serving Raleigh, Cary, Chapel Hill and Durham areas of North Carolina. The York family has been involved with real estate in the Triangle area since 1910. Berkshire Hathaway HomeServices York Simpson Underwood has been named the Triangle’s best real estate company by Metro Magazine for seven years in a row. Services include title insurance, home warranty, mortgage and relocation services. Visit www.bhhsysu.com for more information. Berkshire Hathaway HomeServices Yost & Little Realty, headquartered in Greensboro North Carolina, is a full-service real estate market leader with three sales offices serving the Greensboro and High Point areas of North Carolina. Founded in 1928, Yost & Little has proudly served its communities by being centered on family values, integrity and high-quality results. Services include title insurance, home warranty, mortgage and relocation services. Visit www.bhhsyostandlittle.com for more information. 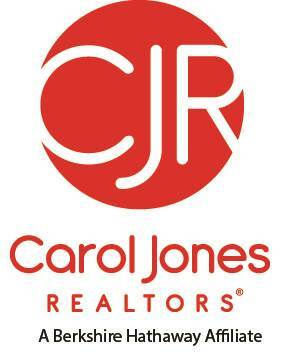 Carol Jones, REALTORS® was founded in 1983 and joined the HomeServices network in 1997. The company is well-known acrossSouthwest Missouri for providing a broad array of services including brokerage, mortgage, insurance, and loss mitigation. Carol Jones REALTORS® represents both buyers and sellers in the purchase or sale of residential and commercial properties, new construction, elegant homes, and investment properties throughout the market area at one of the company’s many locations. For more information, visitwww.CarolJones.com. With nearly 425 licensed real estate professionals in four sales offices, CBSHOME Real Estate is the market leader in the Greater Omaha area. CBSHOME offers residential real estate and corporate relocation services as well as home mortgage and title closing services through its subsidiary companies, CBSHOME Mortgage and Nebraska Land & Title. With innovative technology, marketing strategies and a full-service approach to real estate brokerage, CBSHOME provides customers with an experience that exceeds expectations. For additional information, visit http://www.cbshome.com/. 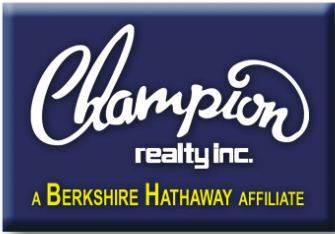 Champion Realty, Inc., founded in 1987, is the Mid-Atlantic partner company for HomeServices of America. With seven offices serving the Chesapeake Bay region, Champion has rapidly expanded to become one of the top real estate companies in the country. For additional information, visit www.ChampionRealty.com. Edina Realty is the largest residential real estate firm in the Midwest. Founded in 1955 by Emma L. Rovick, Edina Realty has grown to include more than 2,200 associates in 56 real estate offices throughout Minnesota and Western Wisconsin. Edina Realty’s family of companies includes Edina Realty, Edina Realty Title, Edina Realty Mortgage and Edina Realty Relocation. For more information, visit the company’s Web site at http://www.edinarealty.com/. Founded in 1964, Esslinger-Wooten-Maxwell (EWM) is one of the largest real estate services firms in America. The full-service firm has associates and staff located throughout 10 offices in Miami-Dade and Broward counties. EWM offers residential and commercial real estate services, corporate relocation, and international services as well as home mortgage, title closing services and property insurance through its subsidiary companies. EWM is the exclusive Miami-Dade and Broward counties affiliate for Christie’s Great Estates, the largest network of luxury independent real estate firms in the world. For additional information, visithttp://www.ewm.com/. Headquartered in Fresno, Guarantee Real Estate serves central California with more than 420 sales associates in 10 offices located in Fresno and surrounding communities. 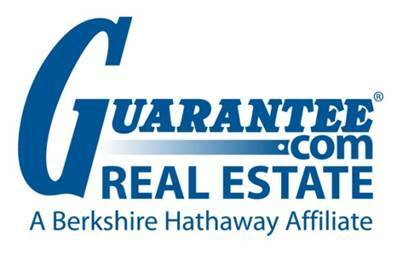 Founded in 1919, Guarantee Real Estate has held the No. 1 market share for more than 20 years and has represented more homebuyers and sellers than any other real estate firm in the Central Valley. For more information, visitwww.guarantee.com. Founded in 1930, Harry Norman, REALTORS®, Atlanta’s oldest residential real estate firm, has grown to become the area’s industry leader. The company is made up of 12 offices and more than 850 sales associates, offering exceptional service and professionalism in the sale or purchase of a home. For more, visitwww.HarryNorman.com. HOME Real Estate has grown to become one of the largest full service real estate companies in Lincoln, Nebraska. Founded in 1938 as Austin Realty, the company was purchased in 1965 and renamed as HOME Real Estate. With a team of experienced sales associates and sales offices across Columbus, Nebraska City, Wahoo, Hastings and Kearney, HOME offers clients a variety of services including its in-house title company, Capitol Title, HomeServices Insurance, assistance in new construction sales, lot sales, in-house lending and sales of commercial and investment real estate. For more information, visit the HOME Real Estate Web site atwww.HomeRealEstate.com. HUFF Realty serves home buyers and home sellers in Northern Kentucky, Greater Cincinnati and Southeastern Indiana. Established in 1975, the company has grown to include more than 400 sales associates while remaining steadfast to its principals centered on family values, integrity and high-quality results. 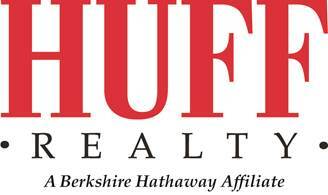 HUFF has been recognized as a primary growth leader in the industry, offering a full range of services. For additional information, visit www.Huff.com. Founded in 2002, Intero has experienced rapid year-over-year growth and is best known for its innovative approach through its technology platform and its unwavering commitment to providing their agents and clients with the highest level of customer service, expertise and resources. Headquartered in Cupertino, Intero serves Northern California in 13 offices throughout the San Mateo, Santa Clara and San Benito counties. For additional information, visit www.InteroRealEstate.com. Established in 1952, Iowa Realty is the state’s largest residential real estate broker. With 16 offices and more than 750 agents, Iowa Realty works with buyers and sellers of houses, condos, townhouses, multi-family units, commercial real estate, and farm sales. Visitwww.IowaRealty.com for more information. Founded in 1926, Long Realty Company is Arizona’s Leading Real Estate Company. With corporate and affiliate owned offices throughout Arizona and Northern Mexico, Long Realty Company has grown steadily each year. With a proven commitment to putting its clients first, Long Realty has earned a reputation of delivering unsurpassed quality and solid profitability. By working closely with Long Mortgage Company, Long Title Company and Long Insurance Company, Long Realty sales associates are able to provide their clients a one-stop buying and selling experience to help ensure a smooth transaction. Visit www.LongRealty.com for more information. Renamed in 1998 with the merger of Alabama’s premier real estate companies, RealtySouth offers nearly 55 years of service in Alabama. In addition to selling approximately 35% of the homes in the Birmingham area, the state’s No. 1 company provides one-stop shopping through its affiliated companies and more than 650 sales associates. RealtySouth has 15 offices in the Greater Birmingham area as well as offices in Auburn, Clanton, Huntsville, Montgomery, Tuscaloosa, Orange Beach and Mobile. For more information, visitwww.RealtySouth.com. 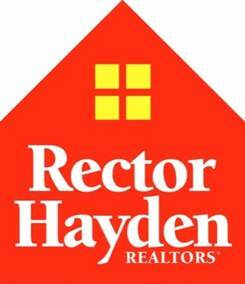 For nearly 40 years, Rector-Hayden REALTORS® has been hailed as the leading real estate company in Central Kentucky. Rector-Hayden has kept pace by adapting to the area’s rapid growth and changing economy while maintaining exacting standards and integrity. The company has a team of seasoned real estate sales professionals involved in community, civic, and cultural activities, and offers a broad range of specialized, full-service real estate and related services. Visit www.rhr.com for more information. Reece & Nichols REALTORS® was formed in 1998 with the merger of two of Kansas City’s premier real estate companies, J.D. Reece REALTORS® and J.C. Nichols Real Estate. Today, as one company, the Reece & Nichols vision is to provide a remarkable home buying and selling experience. As the recognized real estate leader in the Kansas City area, Reece & Nichols is committed to a reliable transaction through a strong family of services including HomeServices Lending, Kansas City Title and HomeServices Insurance. For more information, visit www.ReeceAndNichols.com. Roberts Brothers, REALTORS®, founded in 1946 by the late John and David Roberts, Sr., has serviced the real estate needs of Mobile andBaldwin counties for more than 60 years. The company is one of the largest real estate brokerage firm in South Alabama with three offices and more than 140 agents. 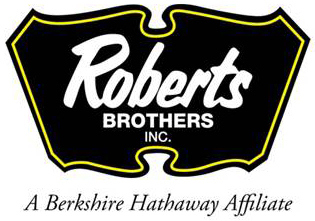 For more information, visit the company’s Web site, http://www.robertsbrothers.com/. Founded in 1915, Semonin REALTORS® is the largest residential real estate firm in the Kentucky/Southern Indiana region. The company’s full-service approach to real estate provides clients with everything from home buying and selling, to mortgage financing, title insurance, home warranty, homeowners insurance and domestic and international relocation services. For more information, visit www.Semonin.com. Woods Bros Realty has been listing and selling homes in Southeast and Central Nebraska since 1889, longer than any other real estate firm in the area. The full-service company has sales offices in Lincoln, Beatrice, Grand Island, York and Seward. 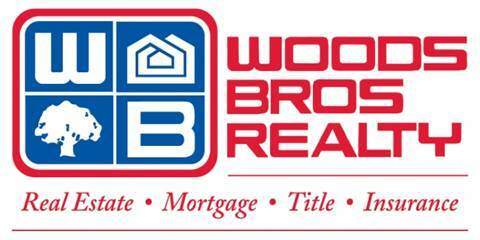 Woods Bros Realty offers residential and commercial real estate services and corporate relocation, as well as mortgage, title and insurance through HomeServices Lending, Capitol Title and HomeServices Insurance, respectively. For additional information, visit http://www.woodsbros.com/.